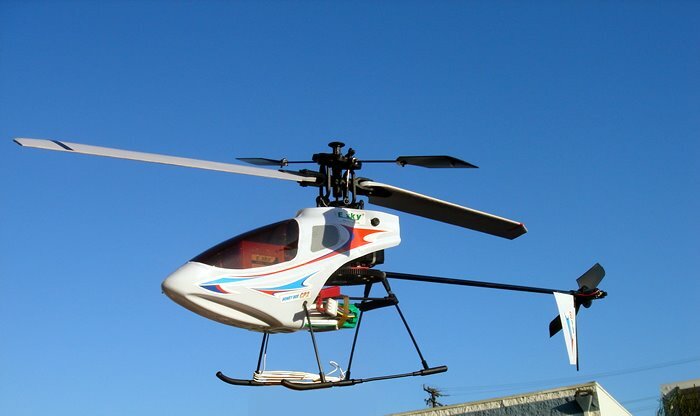 I just purchased this model helicopter and am waiting for its delivery. I can't wait until it gets here so I can try it out. I will update you once it arrives. Well, it has arrived and I have had it for about a month but have been practicing on the simulator so that once I started flying it I wouldn't destroy it right away. Well, the simulator helped but it isn't exactly like the real thing. The recommendations for beginners is to do what is called "bunny hopping" which is hovering about 1-2 feet off the ground and then bringing it back down and repeating the process until you can hover for fairly long periods of time. I have begun to do this and it is difficult. The highest I have gotten off the ground is about 3 feet. I destroyed one battery because I charged it wrong (luckily it was a cheap battery off eBay). It uses li-poly batteries which are a new type that is somewhat still in its "experimental form" so you have to be extremely careful with them. In one particular "bunny hopping" session I lifted it off the ground and when I brought it back down it was sliding sideways and tipped over on the blades! (Actually it has happened a number of times and lucky for me the blades are made to "collapse" when it happens.) It is a scary feeling though. Anyway, when it tipped over this time I went and picked it up and straightened out the blades and it wouldn't work! I turned it off and back on and watched it. There is this little LED light indicator that flashes green when you first turn it on and once it calibrates itself it glows a steady green. Well this time, when I turned it on, it would flash green a couple of times and then it would start flickering red-green-red-green. I turned it back off and felt around on the main control box called the 4-in-1 and on the left side it felt hot! Well being a beginner in the RC helicopter world I did not want to mess anything up further so I went upstairs and went to check on the computer for some info on the problem. Well, after I looked around for awhile, I found a forum site for RC helicopters and found one particular post that had the same problem as me and I read the answer from the "experts" and they said that it was a bad servo (controls the angle of the rotor head) that was drawing too many amps and therefore heating up the 4-in-1 which was causing this out-of-control acting. 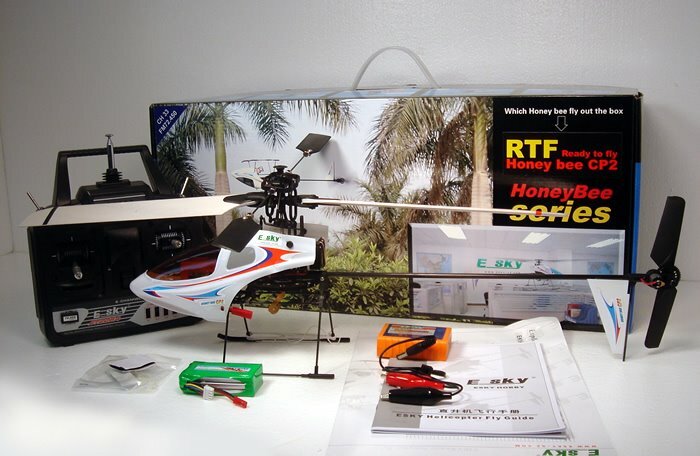 And actually, when this happened, I was holding the helicopter on the counter when it suddenly took off full throttle! 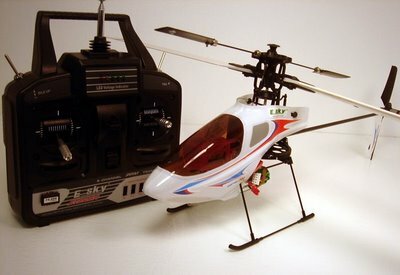 It went shooting to the floor and was spinning like crazy and I had no control of the helicopter whatsoever with the remote! I ended up reaching under the helicopter while it was going and un-plugging the battery to get it to stop. So I ordered a new servo and a few other parts and when they came I had it going again. I had my sister, Annika, video me flying it and I made a video with music (YEAH!) to my flying! I am going to put it on Google Video but am having trouble loading it. When I get it I will put a link on here. So that is pretty much it for now for the helicopter! I'll try to keep updating! OK, here is another update. I can now hover for fairly long periods of time. I think my record has been like 10 minutes or so. It is really fun and my plan is to take it to the gym and try flying around in there rather than just flying in the garage. They don't really recommend flying it outside because the slightest wind affects it greatly. Neat Ben! This looks like a fun project. Do you have to assemble it yourself? Hey! That is a cool toy. Now you need to figure out how to mount your digital camcorder to it, or even better yet, a wireless cam that feeds over to your computer.